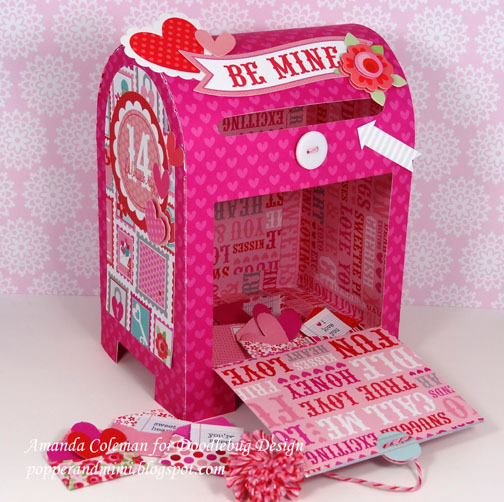 Combine a fun 3D electronic cut file and the Lovebirds Collection to create this fun "special delivery" Valentine Box. 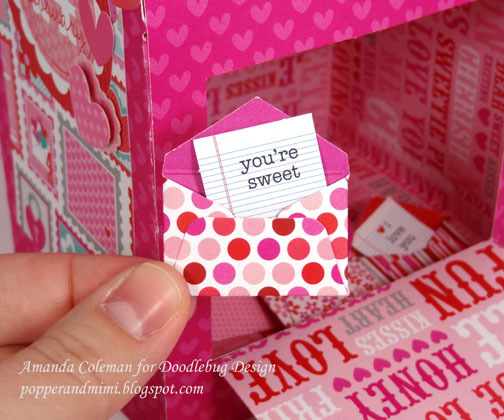 Be sure to visit Amanda's blog to see if she shares any tips on how she created this fun box. So creative and absolutely DARLING! Doodle-dorable! What a sweet mailbox. Fabulous project!!! this is soooooo cute- I LOVE IT!!! Adorable project! 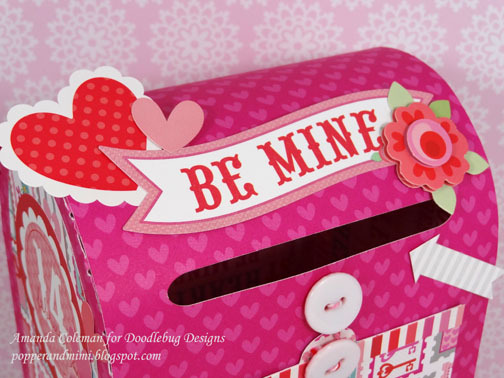 Does Doodlebug offer digital kits? If not, where can I purchase this paper kit online? I love it! Hi Dee! I got the digital cutting file from svgcuts.com. 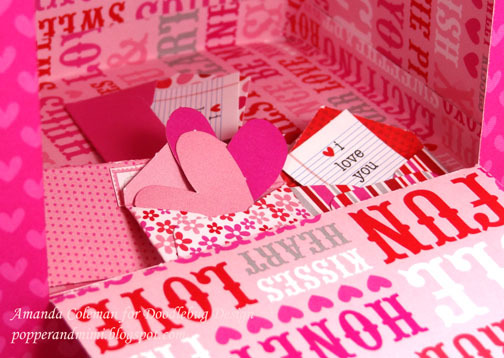 It is from their Valentine Mailboxes kit. Hope that helps! how do I buy this??? This is freaking amazing! I love the design and the colors and just everything about it!! 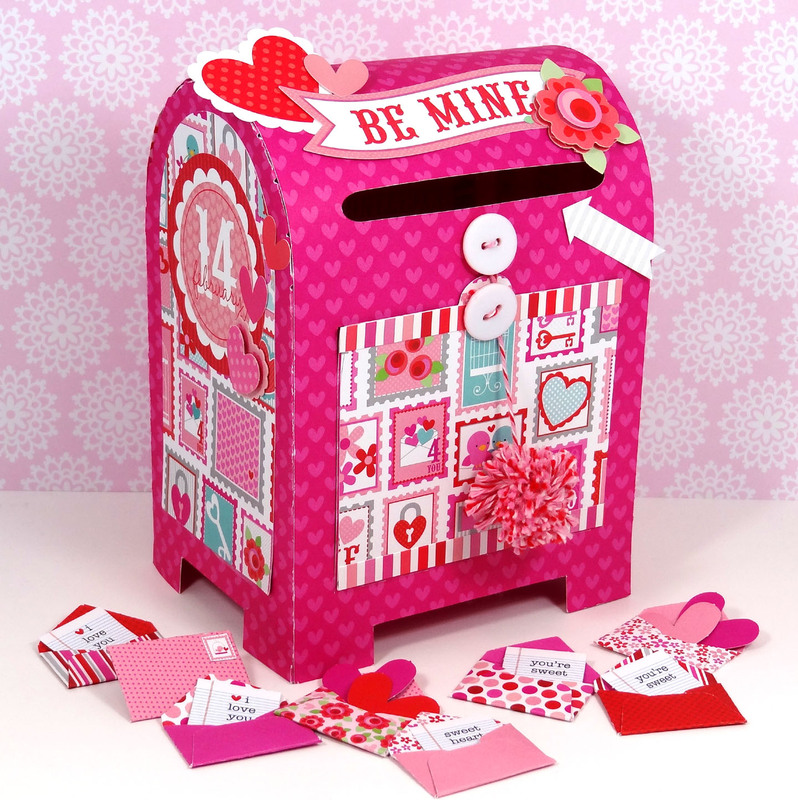 Kudos to you I have always wanted to make a super cute, cool mailbox like this! You go!! And this is why I love Doodlebug! Super adorable! Superb Idea. it can be unique gift for valentine. CHA Winter Release: Washi LOVE! !